Let no one ever tell you that an addiction to Red Bull isn’t dangerous. One man, 26-year-old Eddie Johnson of New Jersey, is about to do some hard time due to his uncontrollable affinity for the drink—and also the fact that he straight-up threatened to shoot people if they didn’t buy it for him. NBC reports that Johnson has been caught after robbing three people this year, taking their money and forcing them to buy him more energy drinks than one should consume in one sitting. Once, he demanded a full $70 of the liquid-cancer concoction. And he even made his victims drive him to the store! Police say Johnson struck again last month when he took a man’s smartphone and $30. The latest robbery occurred last week, when he allegedly forced a man to drive to two ATMs at knifepoint to withdraw $60. Police say Johnson also forced the man to drive to a store because he wanted more Red Bull. Quick question: Was Johnson taking the money his victims withdrew from their accounts and forcing them to buy Red Bull with that, or was he making them take out extra so he would leave with both energy and a healthy cash infusion? 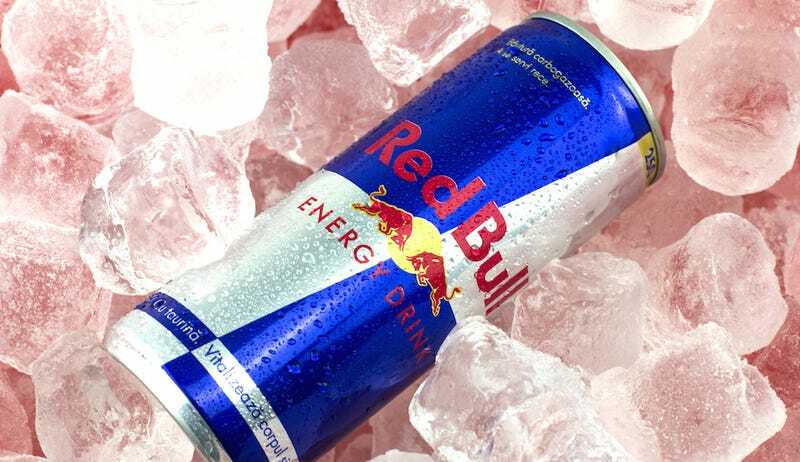 Fortunately for Johnson’s victims and the larger community of New Jersey, Red Bull doesn’t actually give you wings. They caught him, and NBC reports that it’s not known whether Johnson has retained an attorney, but he’ll probably want one, as his charges include robbery and kidnapping.